Beauty has lots of meanings. The best proof is in the once-popular traditions of different peoples around the world. Bright Side decided to write about the most interesting, mysterious, and even frightening fashion trends through the years. Meanwhile, different types of eyebrows were popular during different time periods, just like nowadays. The mysterious Ainu lived in the Japanese Islands and partially in areas of Russia. Women tattooed their faces so they had something like a Joker’s smile. The Ainu believed that it helped them get married and even find peace in the Underworld after death. The process of getting a tattoo was divided into several stages starting from the age of 7. It’s interesting to know that artificially elongated heads were popular among several unrelated peoples in different times: the Huns, the Italians, the Sarmatians, the Maya peoples, and some African peoples. It was common even in France in the 20th century. To change a skull shape, parents had to bandage a baby’s head with a ribbon or put him in a special cot. Ohaguro is a Japanese custom of dyeing one’s teeth black, and it was popular until the end of the 19th century. Nowadays you can see black teeth only in theatrical plays. But this dark matter had not only a decorative function. It also protected the teeth and supplied the body with iron. The dyes consisted of iron and Sumac gallnuts mixed in acetic acid. Hair wasn’t popular in Europe, so people shaved their foreheads and plucked their eyebrows and eyelashes. It is likely that such a tradition was common because of rickets, which caused hair loss. One of the gentlefolk made it trendy, and the others followed the example. It was fashionable to have extremely long nails in China. Such nails symbolized wealth and idleness (of course! How would one work with such "adornments"?). People also thought it was easier to talk to deities this way. The Chinese also created special golden cases decorated with jewels. The Maori are people of Oceania who are well known for their love for tattoos. Men covered not only their bodies but also their faces with different patterns. And women tattooed their chin, upper neck, and lips. They used special chisels, not the needles we are used to. Just imagine how "pleasant" it was. In medieval ages and during the 18th century, women hid their legs under long skirts, but men liked to show their calves by wearing stockings. Less lucky men padded their hose with "artificial calves" strapped to their legs. Don’t be surprised if you see grannies with tattoos in the Balkans. 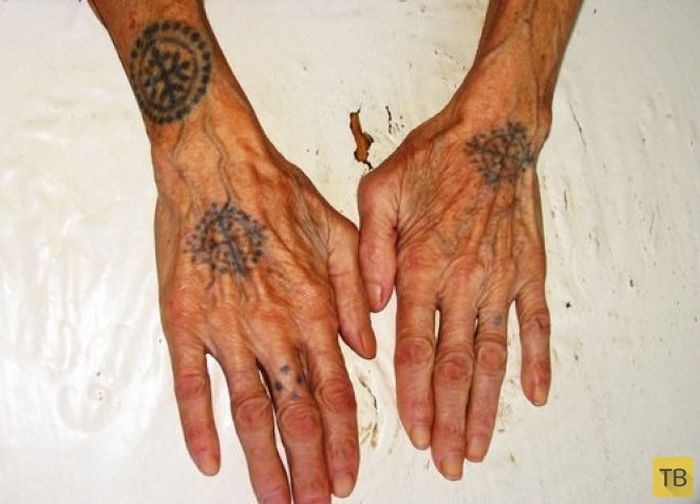 Bosnian, Croatian, and Albanian women used to have their hands tattooed with solar symbols. These date back to the pagan past and serve as amulets. People got such tattoos during the vernal equinox. 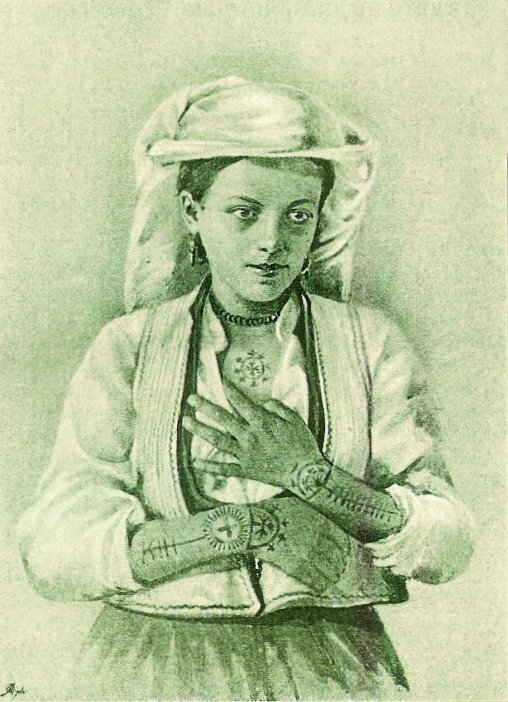 One more advantage was that the Turks didn’t steal tattooed women for their harems. Nose piercing is still very popular in India. And many don’t stop with just one piercing. Usually, there is also a chain that links a nose piercing with an ear piercing. As a rule, such piercing is to be done before a wedding. What is more, Ayurveda medicine followers claim that left nostril piercing eases labor and improves reproductive health. Everything is vice versa in the Wodaabe tribe. The men are to cultivate beauty and be attractive. During the Gerewol, a male beauty contest, women can choose their future husbands. Men paint their eyes and lips in black to emphasize the whiteness of the whites of their eyes and teeth, wear intricate hats, and paint their faces. By the way, women are no slouches either. They are considered to be the most beautiful in Africa. There are women with incredibly long hair who live in the Chinese Huangluo village. They only cut their hair during a rite of initiation at the age of 16. There was a rule in ancient times that if a man saw a woman’s loose hair, he had to marry her. This rule no longer exists, and women can show their hair to everyone. All of the previous fashion choices were made in the pursuit of beauty. But that’s not so for the Apatani women who live in India. This nation once faced the risk of extinction. Men from other tribes were stealing Apatani women because of their beauty. So the Apatani decided to insert special plugs into their noses and tattoo their faces to spoil their natural beauty. This plan played a positive role and helped the people to survive.